by Redwald OR When Friedrich Nietzsche wrote in Thus Spoke Zarathustra, “Are you a man as ought to escape from a yoke?”, he sparked an interesting dilemma for anyone of an evolutionary Odinic mindset. By Gabriel Maritz AOR and Suzi Marsden AOR Every time I Blot in this beautiful country, I can feel the land wights and nature spirits welcome me. The Gods speak to me and our Galdrs echo through the landscape. It re-energises and revitalises me, just like it did in England. It feels completely natural and right, ancient and true, thus I respond with my whole heart and soul and do not hold back. THE END OF THE WORLD IS NIGH - The 2012 Myth: Is it true? https://i0.wp.com/odinic-rite.org/main/wp-content/uploads/san-diego-fire-1382405.jpg?fit=922%2C614&ssl=1 614 922 Hengest http://odinic-rite.org/main/wp-content/uploads/2016/05/or-badge400-transp.png Hengest2011-11-06 15:00:272019-02-12 22:46:50THE END OF THE WORLD IS NIGH - The 2012 Myth: Is it true? From a young age, idealism ruled my conscious thought process. The world was, and to many extents still is, very ‘black and white’ to me. And never has this philosophy been proven more correct than when I learned of the eternal concept of Natural Law, for in nature we constantly see very simple and definite answers to issues which have been significantly over complicated by our so-called ‘civilised society’. By Asbrandir AOR I believe that it is clear to most people that apathy is generally caused by two factors. The first would be lack of personal contact with another of like mind, with whom ideas, thoughts and general comradeship can be shared. The second, adding to the burden of the first, is to see on a daily basis one’s highest principles and ideals disregarded and trodden into the dirt, if not made outright illegal, in our dishonourable times. Often over dinner conversation in our household, we discuss the chaos that surrounds our Folk. We are usually left grasping at exactly “why” the terrible things in this world are allowed to continue. Why do the powers that be allow the most despicable activities to continue? Interestingly enough there is an explanation. It begins with the business world…the economic world. By Phil AOR This article is not intended to be a history of Kings and wars, nor could I relate facts any better than the multitude of books available on the subject. What this article is about is the psychological and physical way power is won and lost, how it affects the people of Britain today and how we can reclaim our birthright. by Katia Puryear As a student of ancient ethnological systems and religions, I have noticed various institutions successfully utilized by tribal cultures in raising children to become mature, competent adults. One of these, and probably the most important, is the use of initiations, also called Rites of Passage among coming-of-age ceremonies, which are still used among various indigenous people around the world today. 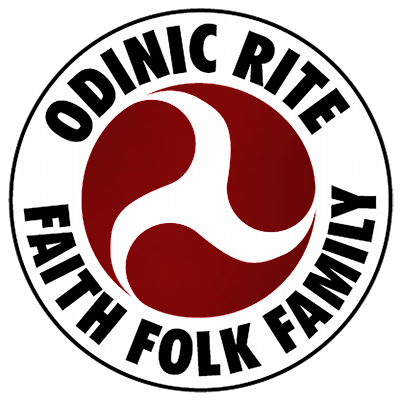 It can often be a source of frustration and disillusion when our non-Odinist acquaintances just don't seem to see things as clearly as we ourselves do. We know instinctively that we are right so why do they have this mental blockage to their own inherent knowledge?